I was kinda disappointed when I saw Trip Advisor’s Top 10 Things to do in Dubai. Two waterparks were listed as Top 10 Attractions. In a city known for soaring buildings, luxurious hotels, great beaches, arabian souqs and soaring sand dunes within driving distance – that’s the best they came up with, waterparks? Great if you’ve got kids, definitely check them out. But Top 10 things to do in Dubai? No. Uber is widely used and Dubai Taxi is a perfectly good alternative, well priced and clean, for getting around town. You can also take the metro. Day 1 – Introduction to the Tallest Building in the World and Downtown Dubai. Take the elevator 124 floors up to the viewing platform of the Burj Khalifa, the world’s tallest building (for now). Afterword, head to Dubai Mall for an understanding of why Dubai’s malls are destinations versus just shopping depots. Hop in a taxi late afternoon and do a quick drive by the Dubai International Finance Center (DIFC) and Emirates Towers (less than five minutes away) to get a sense of where Dubai’s stock exchange is. Starting at 6pm, follow signs through Dubai Mall to the Dubai Fountains and catch the luminous show from the bridge leading to Souk Al Bahar. 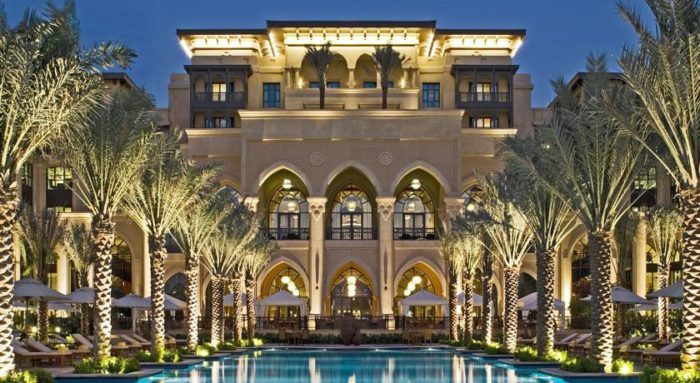 Afterward, walk to the Palace Hotel and grab a cocktail at one of the majlis’ near the pool or by the water at Ewaan Lounge, a true showcase of Arabian luxury and architecture. 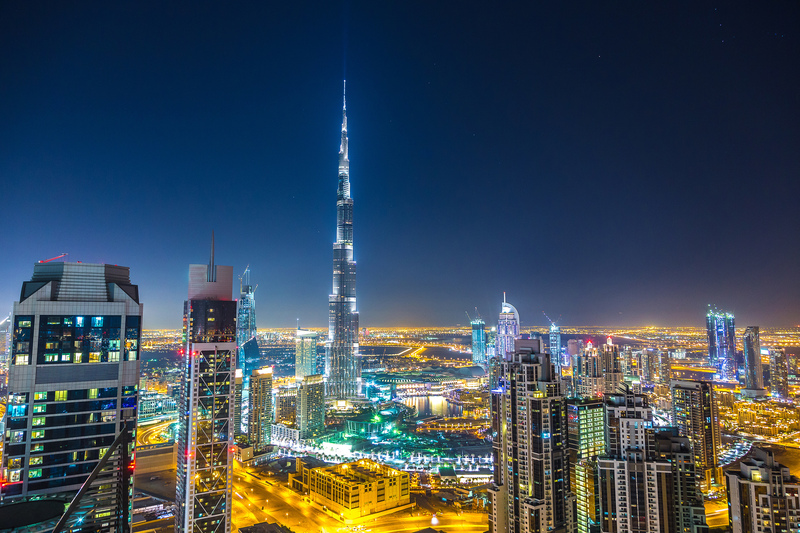 There are hundreds of places to drink and dine all over Downtown Dubai. I recommend La Serre Bistro & Boulangerie in the Vida Hotel, a relative newcomer in Dubai’s food scene, for good food and non tourist people watching. No trip to Dubai is complete without visiting the beaches and its many bars/lounges. Your hotel may have their own private strip of beach but if not, the public beaches are more than adequate and many are located at the foot of lively cafes and bars. In the morning, head to The Walk at Jumeirah Beach Residence (JBR) located in Dubai Marina. There is an endless supply of restaurants and cafes to have a full or light breakfast in. 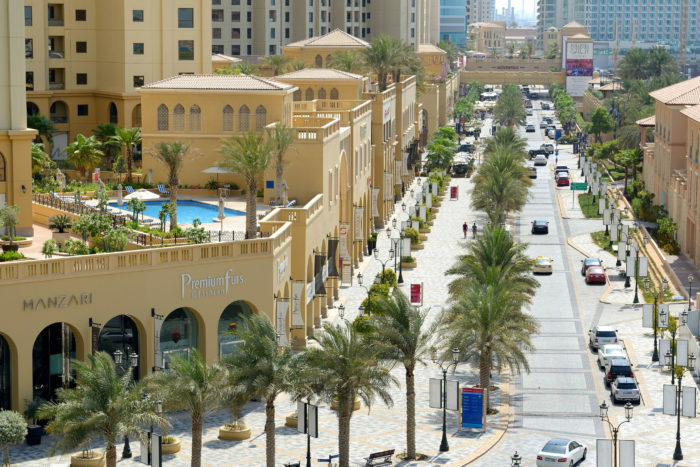 This strip is frequented by many Emiratis and Dubai expats, is home to several hotels and is known to hold outdoor street markets and food festivals. Across the street from JBR Walk is a public open beach with even more eateries to dine in. 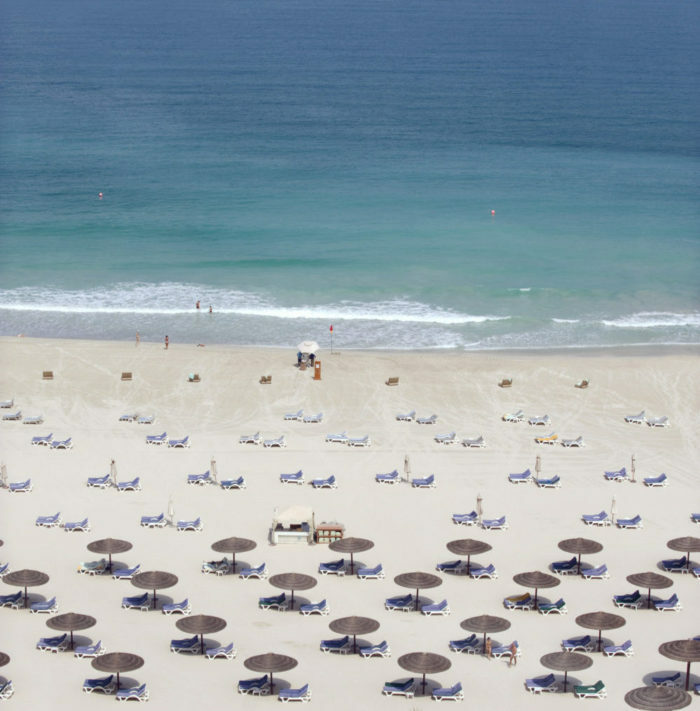 In the afternoon, head to yet another beach in Jumeirah, called Open Beach. Open Beach provides picturesque views of the Burj Al Arab as well as a cycling track, volleyball nets, changing rooms and fun public spaces. You can also pay to use the private beach at one of many luxury hotels if the need arises to fancy it up. Just a few minutes away, visit the Jumeirah Beach Hotel a little before 5pm for what will be an amazing sunset experience. Walk through the lobby and outdoor restaurant and down the steps to the promenade which leads you to the famous over water lounge, 360. 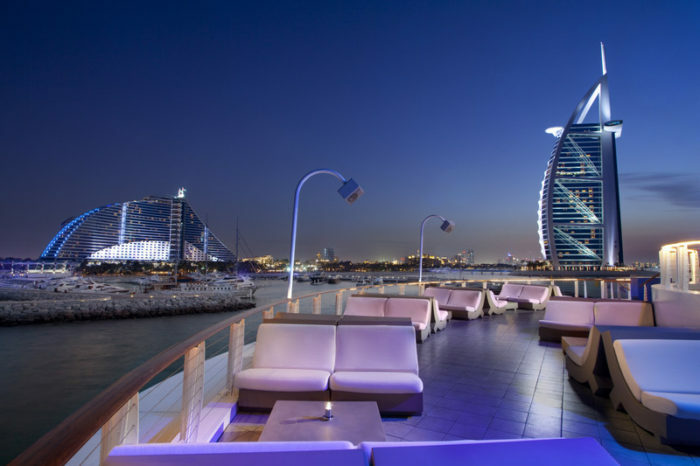 The name is apt as the view from this chic circular bar lends itself to 360 degree views of everything Dubai. You’ll have a great photo opp by the Burj Al Arab and pass by luxurious yachts berthed there. 360 serves up tempting bites, great cocktails and shisha. In the evening, head back up to Dubai Marina for dinner. The choices are endless. In sticking with the theme of great views, head to Abd El Wahab for good Lebanese food at Pier 7 (behind Dubai Marina Mall) on the 5th floor. 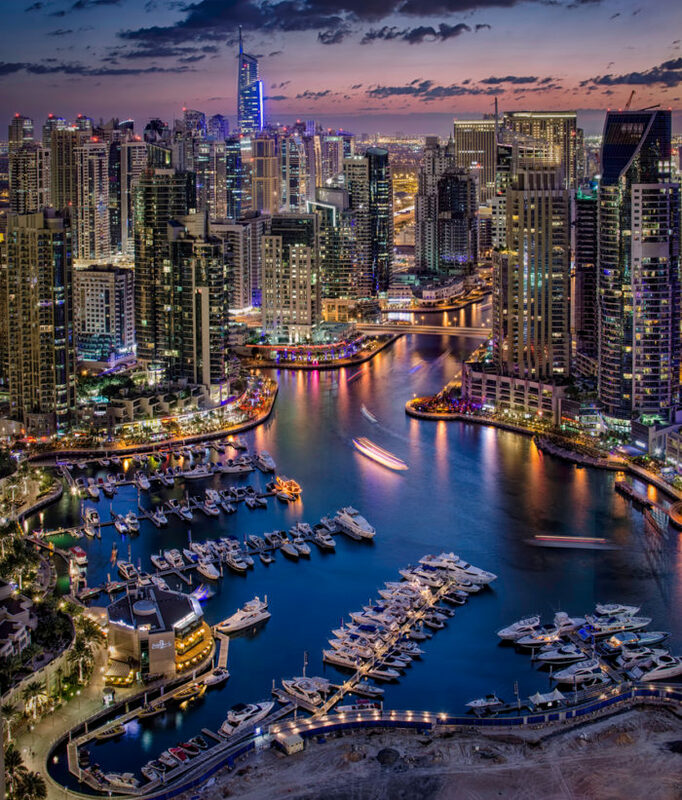 After dinner, head to the Aquara Lounge at Dubai Marina Yacht Club when the weather is good or The Observatory on the 52nd floor at the Marriott Harbour Hotel & Suites if its too hot. 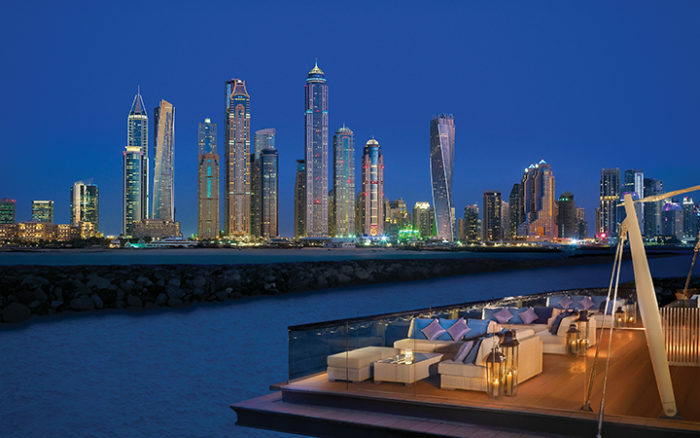 Both serve alcohol and provide stunning views of the Dubai Marina skyline. The food, however, at these two aren’t that great. It’s okay though, you’ve just eaten dinner. Tip: Don’t wear flip flops or ripped shorts to Aquara Lounge, they won’t let you in. Day 3 – Cultural Day, Spices & Gold! Okay, you’ve gotten some of the glitzy and glamorous stuff out of the way. It’s time for some culture. Arrive at the Grand Jumeirah Mosque at 9:45am (closed Friday), the only mosque in Dubai open to non-Muslims. Tip: No reservation required. Each tour starts at 10am and lasts approximately 75 minutes. 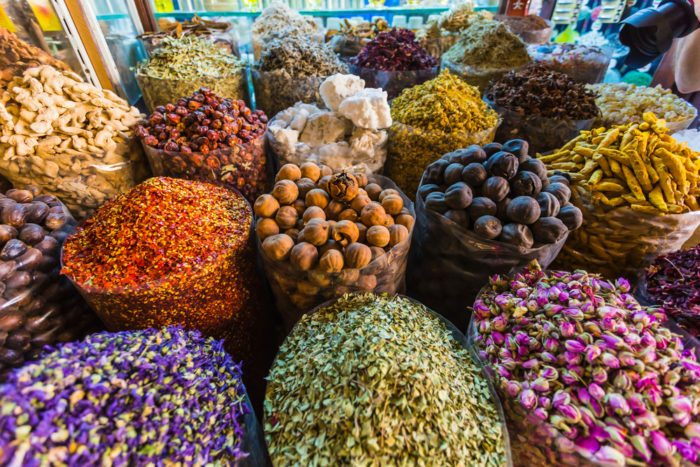 The tour costs 20 AED per person including water, dates, Arabic coffee, tea, and traditional pastries. Children under 12 are free. Wear modest clothing or traditional wear can be borrowed. 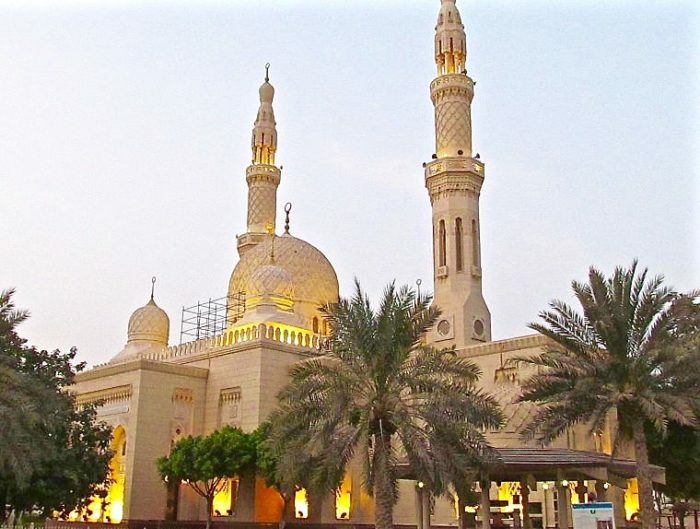 The mosque of all mosques is located in Abu Dhabi, the Sheikh Zayed Mosque. Head there if you have an extra day. 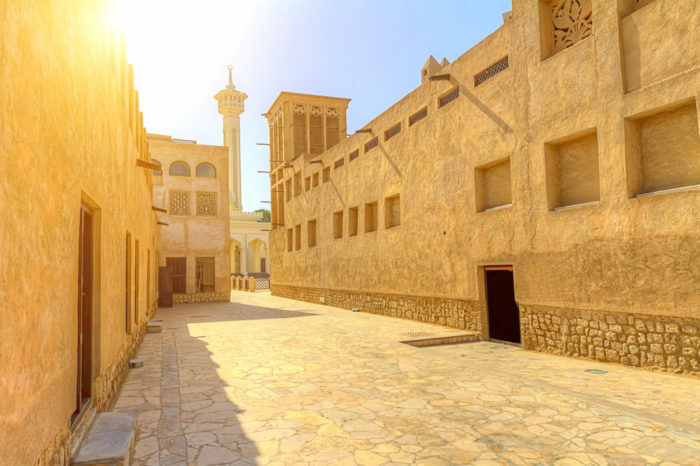 Next, get to the Al Bastikiya Quarter (not to be missed) in old town Dubai. It’s the city’s most comprehensive heritage site and houses the Dubai Museum, the Sheikh Mohammed Centre for Cultural Understanding, Majlis and Ostra art galleries and quaint pedestrian alleys. Eat lunch at the XVA Cafe (vegetarian) or Arabian Tea House, both located within Al Bastikiya, for casual and rustic, open air courtyard dining. 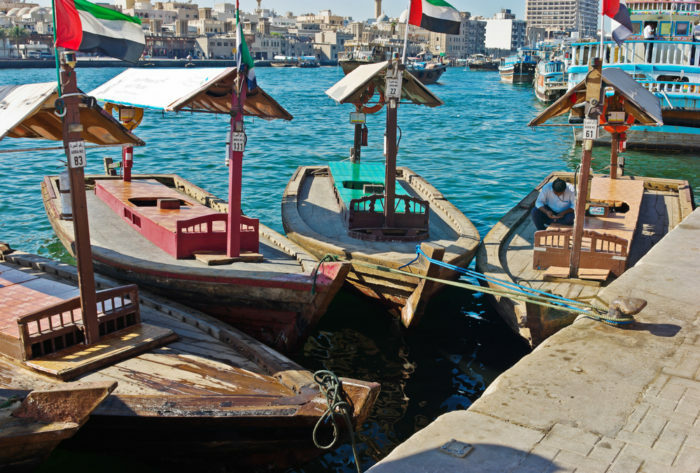 Your next stop is the Bur Dubai Abra station where you’ll be taking a five minute ride (cost AED 1) down Dubai Creek in a weathered dhow boat to visit the Deira Spice and Gold Souks (within walking distance of each other). Get ready for fragrant smells, dizzying colors and a bustling crowd. Unwind in the evening at the Dubai Creek Golf & Yacht Club in Cielo Sky Lounge. This locale boasts great views of the creek and is complete with many restaurants and lounges. It also shares the area with Park Hyatt Dubai, one of the older hotels in Dubai but a favorite for its serene and Mediterranean atmosphere. It’s time for a lazy morning. You’ll need it as the latter part of the day and evening will be tiring. 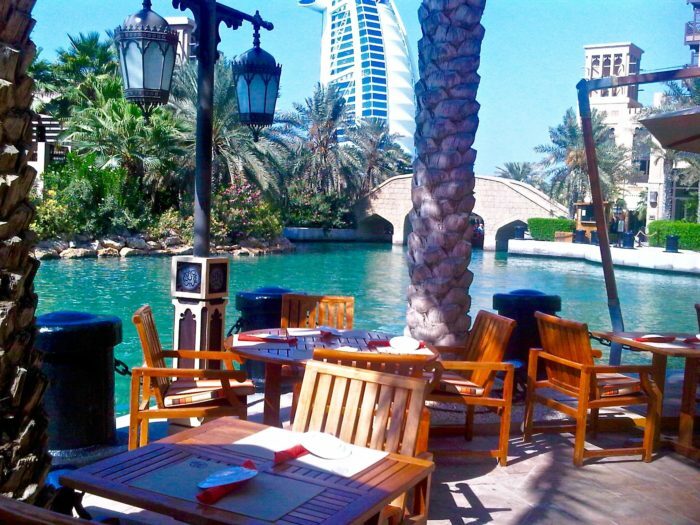 Head to Madinat Jumeirah for lunch. It’s a quintessential reflection of modern day Dubai development laced with classic Arabian architecture and a beautiful way to spend the afternoon. Stroll through the souk and head down the stairs to the man made canal for great photo opps. Eat at any one of the outdoor cafes or restaurants. Take a short abra ride to the Al Qasr Hotel and marvel in the opulent lobby and interior. Get back to your hotel latest by 3pm. Grab a small bag for your camera, a sweater/shawl and whatever else. Desert Safari is a cool experience. There are many vendors who sell reasonably priced package tours for the day or overnight ones if you wish. Typically, they’ll pick you up late afternoon and have you back by 9-9:30pm. 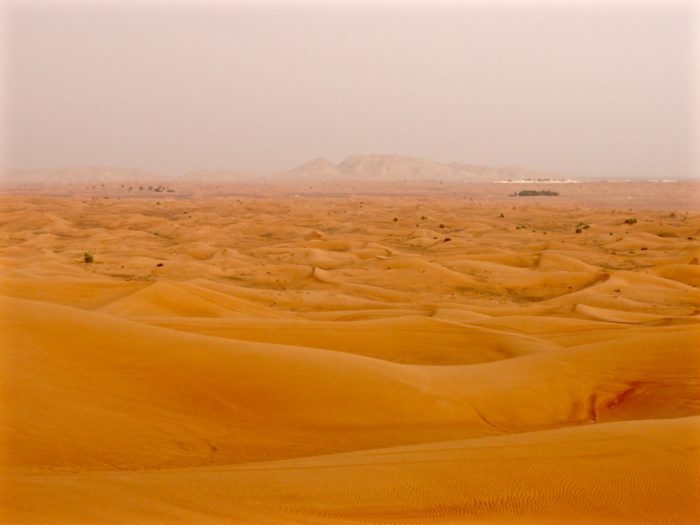 The tour consists of a drive out to the desert where you’ll “dune bash” in a reinforced 4×4 and snap sunset photos, quad biking on the dunes if you wish and then a dash to the Arabian desert camp where camel riding is available, have dinner and see a belly dance show. You may have motivation to shower up and grab one last drink at the beautiful One & Only, Palm Jumeirah. It’s one of my absolute favorite hotels in the emirate. There is a lounge in the back called 101 which you’ll stroll through the romantic, candle lit lobby, passed the regal pool and on to an illuminated mini boardwalk with the Arabian sea and marina skyline to your right to get to. Or you can take a buggy if you’re a lazy bugger. Well there’s my list of top things to do in Dubai when you’re visiting for the first time. I can write a few more if you’re a second or third time visitor. I would recommend a day trip to Abu Dhabi if you have an extra 24 hours to spare. Sheikh Zayed Mosque is incredible. If we’re talking about a few extra days to spare, you must must go to Oman. A guide on what to see and where to go is included in the link. Dubai veterans, feel like I left something out? Please comment below.